Earlier this week, the Democratic senator from Connecticut questioned Brett Kavanaugh's credibility. President Donald Trump attacked Sen. Richard Blumenthal, D-Conn., for misleading voters, making some false claims of his own in the process. “Senator Richard Blumenthal must talk about his fraudulent service in Vietnam, where for 12 years he told the people of Connecticut, as their Attorney General, that he was a great Marine War Hero. Talked about his many battles of near death, but was never in Vietnam. Total Phony!” Trump tweeted. Senator Richard Blumenthal must talk about his fraudulent service in Vietnam, where for 12 years he told the people of Connecticut, as their Attorney General, that he was a great Marine War Hero. Talked about his many battles of near death, but was never in Vietnam. Total Phony! The president has made similar remarks on Blumenthal's admitted falsehoods — we fact checked another claim last year — but the president exaggerated them even further on Monday, saying the senator had once claimed to be a war hero. Blumenthal did lead voters in Connecticut to believe he was a Vietnam veteran when, in fact, he was never deployed to Vietnam. He obtained at least five deferments and later served in the Marine Reserve in the Washington area, according to a New York Times article in 2010. There's no evidence Blumenthal boasted of near-death experiences, or claimed to be a war hero; he did make false claims about returning back from war or serving in Vietnam. He later apologized for misrepresenting his service, saying he regretted saying that he had served "in" Vietnam instead of "during" Vietnam. In 2010, The Times found that Blumenthal had made misleading statements about his war service for at least seven years, since 2003, and that the press had reported that he was a Vietnam veteran for at least a decade; it's unclear if the senator's false claims extended over 12 years back, though, as the president said. 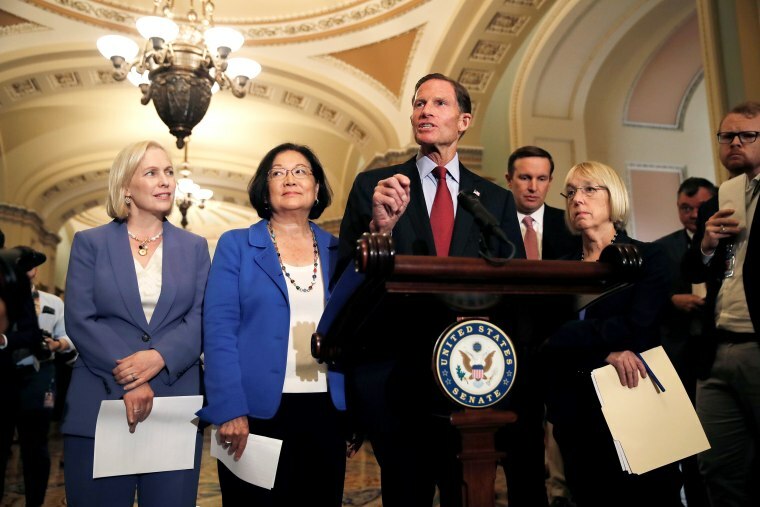 Blumenthal has been in the spotlight recently as a member of the Senate Judiciary Committee. He questioned Supreme Court nominee Judge Brett Kavanaugh last week over Kavanaugh's past remarks about partying and women, arguing that they were inconsistent with his present testimony and cited a legal principle often given to jurors that they can disbelieve a witness's overall testimony if they find one statement to be false. "The core of why we're here today really is credibility," Blumenthal said. Sen. Tom Cotton, R-Ark., attacked Blumenthal for those remarks, saying he should reconsider his line of questioning because of his past false claims about Vietnam. Cotton served in Afghanistan and Iraq.